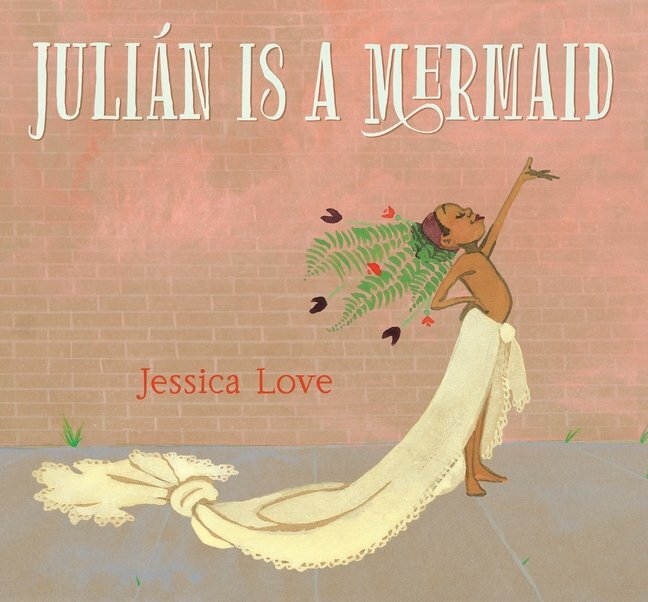 Julián is a Mermaid, by Jessica Love, is a brilliant debut picture book. As Julián and his abuela leave the public pool, they share the subway ride with some women dressed as mermaids. Julián loves mermaids and feels he is one too. He demonstrates this while his abuela’s away taking a bath. At the crucial moment of discovery, Abuela encourages Julián and takes him to his tribe: a gathering of likeminded people. JULIAN IS A MERMAID. Copyright © 2018 by Jessica Love. Reproduced by permission of the publisher, Candlewick Press, Somerville, MA. Jessica Love’s beautiful sentiment is echoed in her vibrant, festive art done by hand with ink, gouache, and watercolor on brown paper. Richly rendered, expressive characters stand out against muted backgrounds. 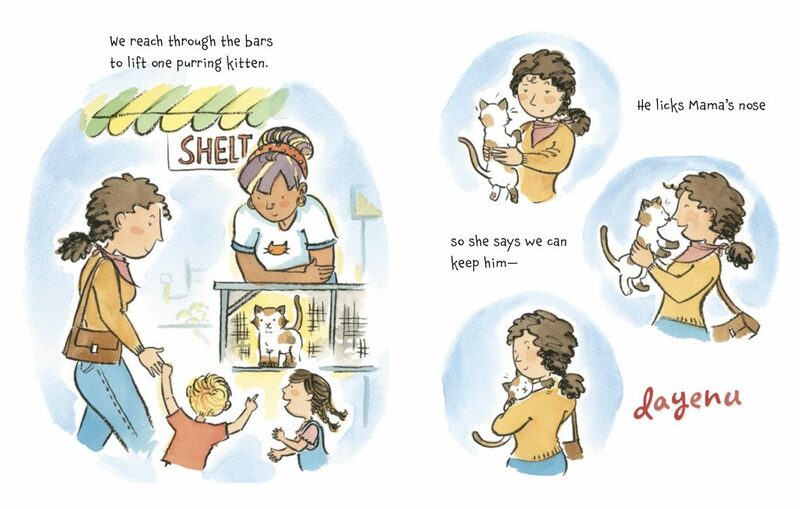 This 40-page picture book gently shows how easy it can be to accept others. Potentially contentious moments are, instead, depicted with understanding. Using words sparingly, Julián is a Mermaid captures the colorful expansiveness of our imaginations when given free rein. About the author: Jessica Love is an illustrator and Broadway actress. She has a BA in studio art from the University of California, Santa Cruz, as well as a graduate degree from Juilliard. She lives in New York. 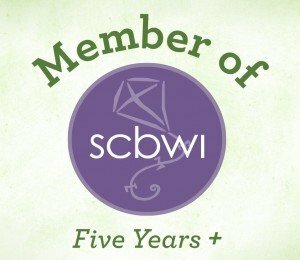 Read another recent review by Christine Van Zandt here. 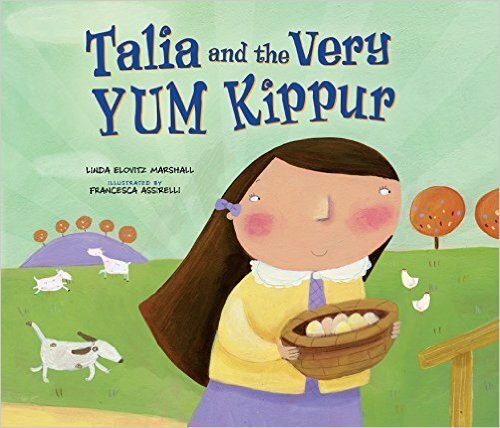 When I was a little girl, probably the same age as the main character in Talia and the Very Yum Kippur, I always thought that Yom Kippur was actually called “Yum” Kippur, at least that’s how everyone in my family pronounced this most holy of Jewish holidays. 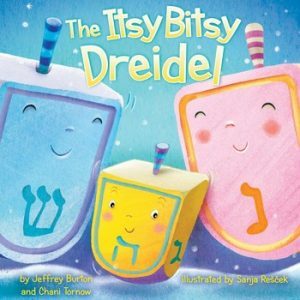 So, I couldn’t believe it’s taken this long for someone to write a “pun-driven story of misheard words and malapropisms” like this “Yum” Kippur themed story, but I’m glad that at last someone has! 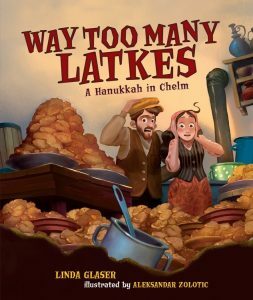 Author Linda Elovitz Marshall who, according to this picture book’s jacket flap, “raised her four children, a small flock of sheep, … on a farm in a historic farmhouse overlooking the Hudson River in upstate New York,” has chosen a similar setting for this charming tale. Only this farm’s inhabitants are Talia’s grandparents. Talia happily helps her grandmother prepare the food for the traditional Break Fast, a meal beginning at sundown immediately following a 24 hour fast of atonement by those over age 13. 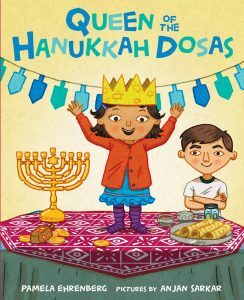 The whole time Talia’s helping her grandmother, she’s thinking that the food-in-the-works is for breakfast, the morning meal, having misunderstand the correct name of the holiday. Talia’s confusion begins early on in the story and deliciously builds which will keep children turning the pages to see how everything works out. Who can blame a little girl for eagerly awaiting what she hopes will be the “Yum” Kippur breakfast of scrumptious kugel along with all the other tasty dishes? 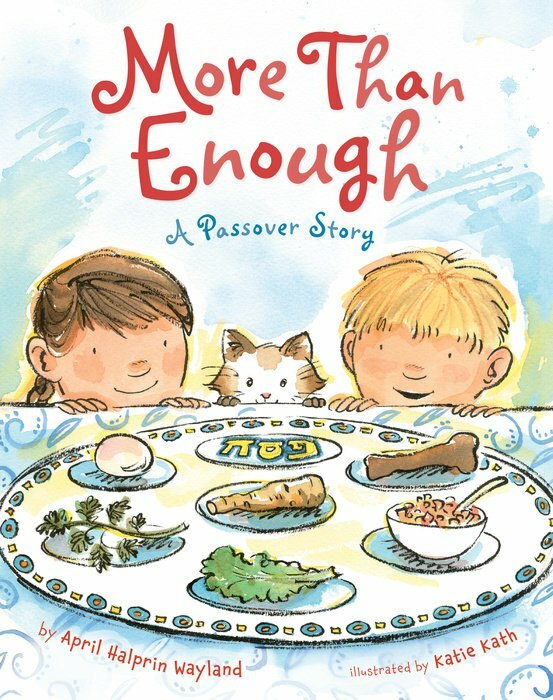 The best part about Talia and the Very Yum Kippur is that, in addition to the humor of the play on words, Marshall introduces young readers to the meaning of this important holiday “… when Jews fast and pray and think about how to be better people.” While we fast, we take the time to think about our transgressions and pray for forgiveness. After learning this from her grandmother, Talia digs deep and apologizes for a lamp she had broken but had blamed on her doll. 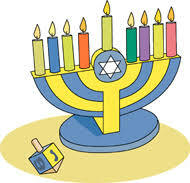 Grandma, too, asks for forgiveness for having yelled at her granddaughter upon seeing the broken lamp. Assirelli serves up a selection of gorgeous folkish-looking spreads that pair beautifully with Marshall’s prose. Since Yom Kippur is in the fall, the artist has chosen autumn hues to pepper the pages making this special season come alive. 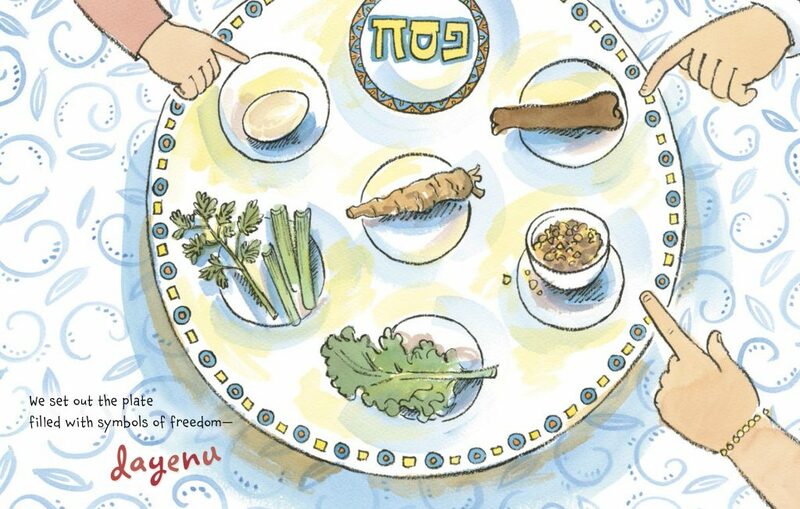 “Thanks to Talia and her grandmother, they all enjoyed a very sweet YUM Kippur.” And speaking of sweet, don’t miss the yummy recipe for Talia’s YUM Kippur Kugel included in the back matter! What Great Personality You Have! Very Little Red Riding Hood, the first in a series of three picture books by Teresa Heapy with illustrations by Sue Heap, (Houghton Mifflin Harcourt, 2014, $16.99, Ages 4-8), is quite possibly the most adorable retelling of a classic fairytale. Just as in the original fairy tale, Very Little Red Riding Hood is going to visit her Grandmama. In this version, Red, a wee toddler, is taking her suitcase and red teddy bear with her for a sleepover. Along the way, Red meets Wolf, but instead of being afraid, she’s excited and gives him a big hug. Heapy chooses her words wisely, and masters the voice and diction of a toddler. Heap’s illustrations show the wide-eyed innocence and playful antics of a child that age. Red captures the wolf’s heart and wraps him around her very little finger. They pick flowers for Grandmama, but “Foxie” as she calls the wolf, doesn’t get it right. “NOOO!” screamed Very Little Red Riding Hood. “Not LELLO flowers. RED!” So they picked some red flowers. Between carrying her suitcase and the flowers, and playing chasing games all the way to Grandmama’s, Wolf is tired out by the time they arrive. Red is still bubbling over with energy. Grandmama is reluctant to let the wolf into her house, but Red, like many toddlers, manages to get her way again. The wolf comes in for a cup of tea, and stays to play hide-and-seek, to dance, and to draw. Grandmama and Wolf are very tired and want Red to go to sleep. But, Red misses her Mummy, bursts into tears, and can’t be consoled by her Grandmama, who turns to the wolf for help. Wolf gives it a try, and just when you think he’s going to eat Red … well, that wouldn’t be a very good ending for a children’s book especially just before bedtime, now would it? Not as sweet an ending as a good tickle, a lot of laughter, a sleeping toddler, and a happily ever after. 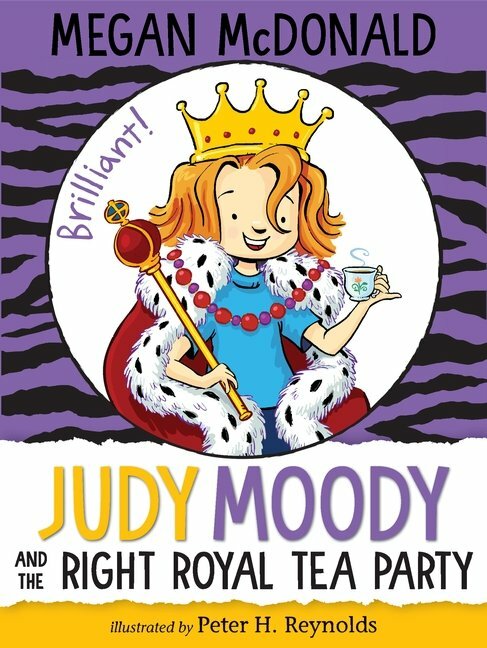 NOTE: This is the first book in a must-have read-aloud series of three, followed by Very Little Cinderella, and Very Little Sleeping Beauty. Grandma (Child’s Play, 2014; $16.99, Ages 3-8) by Jessica Shepherd deals with Oscar’s experience as his grandmother’s dementia takes hold and she enters a nursing home. The story begins with Oscar describing all the wonderful ways he spends time with Grandma. 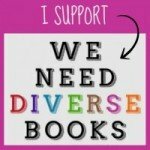 We love books. I can even read some to her now. We like to smell the flowers we’ve just planted…and to wash the dishes until they shine like diamonds. But Oscar notices that Grandma is forgetting lots of things and can’t do things that she used to be able to. That’s when Grandma moves into a special home. As Oscar and his family visit Grandma, Oscar notices the differences. It doesn’t look like her house and it smells different too. But Grandma is happy and the people who help her are a lot of fun! We have drinks and cupcakes to share. Grandma has good and bad days. Sometimes Grandma shouts when people are trying to help her. And sometimes, she’s angry with me too, and I don’t know why. Dad says it’s not my fault, she’s just confused. Oscar figures out a way to help. Grandma is getting very forgetful…so I made a box of happy memories that we can look through together. Oscar still spends lots of time with Grandma in her new home, and he has friends and family to take care of him when he’s sad that Grandma is feeling angry or unhappy or can’t spend time with him. And, in the end, Oscar still knows that his Grandma is the best. Simply worded and illustrated, Grandma provides relevant and easy-to-understand examples and explanations for children who are experiencing a change in their grandparent’s behavior. A two-page question and answer section helps parents explain dementia and gives suggestions for how grandchildren can help. How to Babysit a Grandma (Alfred A. Knopf, 2014; $16.99, Ages 5-8) written by Jean Reagan and illustrated by Lee Wildish takes a delightful spin on caregiving. Mom and Dad are going away, so their young daughter gets to babysit Grandma! That’s right, she has many tricks to make spending time together fun. How To Keep A Grandma Busy: Go to the park, bake snickerdoodles, have a costume parade, feed the ducks, do yoga, look at family pictures, swing, play hide-and-seek, make goofy hats, slide, have a dancing-puppet show, read stacks of books, take photos, do puzzles, play cards. As the babysitter, you need to let her choose. Fun, brightly illustrated, and engaging, How to Babysit a Grandma is a perfect book for children who are anxious about sleepovers. 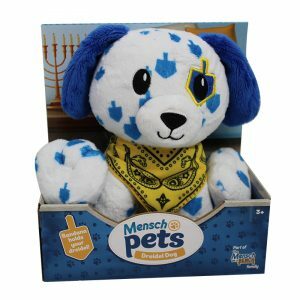 It presents lots of suggestions on activities and empowers children, too. Our final book is an oldie but goodie, Tea Cakes for Tosh (G.P. Putnam’s Sons, 2012; $16.99, Ages 6-8) written by Kelly Starling Lyons and illustrated by E.B. Lewis. Grandma Honey is a woman of many talents. She spins stories and bakes delicious tea cakes. Tosh loves spending time with her, listening as Honey tells of courageous great-great-great-great-grandma Ida, who worked as a kitchen slave and whose tea cakes “were the best around.” Although Ida was forbidden to share the delicious treats with her children or any of the other slaves, she risked being whipped to give the children a taste of sweet freedom. Tosh listens to the story over and over. As Tosh comes to terms with his grandmother’s failing memory, he decides to take action. He makes tea cakes at home and memorizes Honey’s story. The next day, Tosh surprises and comforts Honey with his baked goods and recitation. 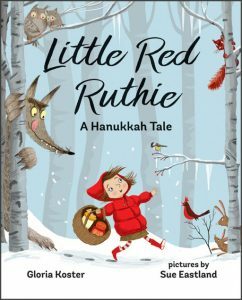 This heartwarming tale is about the special bond between grandparent and grandchild. Complete with a tea cake recipe, Tea Cakes for Tosh is a beautifully illustrated book that reminds us that sometimes listening can be a precious gift unto itself. 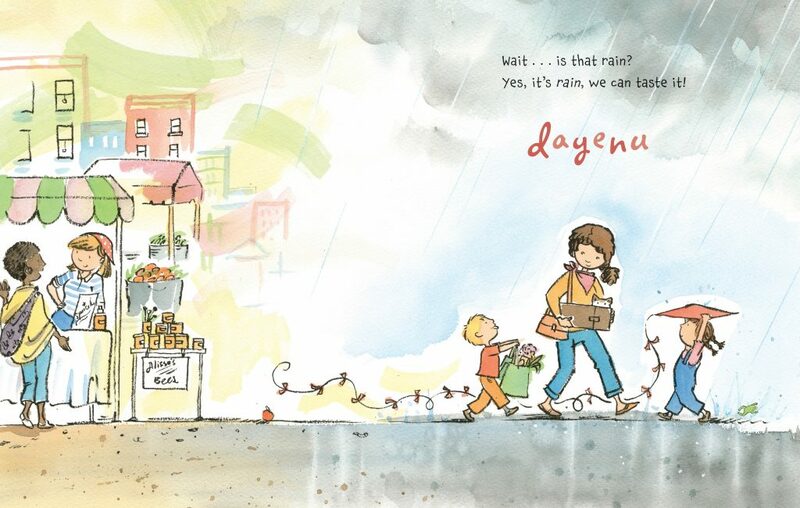 Here’s a link to our recent review of 2015 Caldecott Honor Book, Nana in The City by Lauren Castillo and picture books giveaway. When you were a child, did you ever wonder what your grandmother got up to when you weren’t around? Do you think she spent her days knitting, baking or playing Canasta or were you convinced that her grandmotherly activities were merely a ruse for something more covert? A part-time spy perhaps? Hard as I try I cannot imagine my Nanny or Nana parachuting into enemy territory, but just thinking about it makes me laugh. Grambo, a picture book by L.A. author Beth Navarro with illustrations by Betsy Hamilton (Be There Bedtime Stories, $9.99, Ages 4-8), takes that far-fetched and very funny idea and runs with it. It’s wonderful to read a new grandparent-centered picture book especially such an imaginative one. Grandparents play an important role in kids’ lives, in fact many grandparents raise their grandchildren or are full-time caregivers. So when I saw the title of this picture book, I knew it was going to take me somewhere unusual. The best part is it will make children look at their grandmothers in a whole new way. Navarro introduces us to the narrator, Ryan, a young boy who sneaks into his grandmother’s bedroom eager to find his souvenir from her trip to Texas. However, instead of finding his present, Ryan uncovers a government issued GPS. “Why would Grandma need a Global Positioning System? Did Grandma pick up the wrong suitcase?” Not standard vacation gear for a typical grandma, now is it? Well it looks like something’s cooking and it isn’t Ryan’s grandma’s great chocolate chip cookies. With his curiosity piqued and using his best surveillance skills, Ryan follows his grandma on her next vacation only to discover she’s really on a mission for the CIA. Grandma’s no ordinary grandmother, she’s secret agent Grambo! Kids will love the bonus secret code embedded in the story along with all the action and adventure Grambo’s spying sojourn promises. Plus Hamilton’s illustrations are a riot. My favorite is Ryan’s grandma in her disguise of a long grey wig, sunglasses and a tattered shawl. This grandmother can keep her cool even when things heat up and I’m not talking about kitchen ovens. As part of the Be There Bedtime Stories world, Navarro’s book can be purchased not only as a hard copy, but as a web story, too. Find out how it works here. Click here to get a preview of the book! 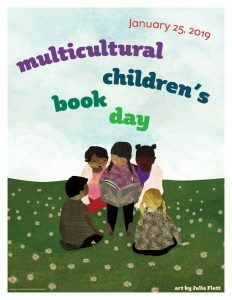 Hear Beth Navarro read a bit from her picture book here.